As promised but a little late, here is our Top 10 EP list for 2010. Also I'm proud to announce for the third straight year, David Bash's exhaustive year-end lists will be featured on this site. Look for 'em by mid-January. A few words on my choice for #1. First off, it may come as a surprise to many of you since I never actually reviewed it on the site (although those who follow my Twitter feed saw me praise it more than once). The reason for this is that The Autumn Defense, being a relatively well-known act featuring two members of Wilco, don't exactly need a review from me to get noticed. Generally I spend my time on this site bringing to light the obscure and the overlooked and the independent, DIY pop artist. Having said that, though, I'd be remiss not to point out what I loved so much about this album. It's the ultimate distillation of their sound - they finally embraced their folk/rock leanings and combined them with the melodic, 70s soft-rock sound they've cultivated over the last decade. Previously they had leaned too fair in one direction (folk/rock 2001's The Green Hour) or the other (2003's Bread-inspired Circles) or forgot the distinctive tunes altogether (I cannot recall one song from 2007's self-titled album). Here, they start off strong with possibly my favorite song of the year, the Beatlesque "Back of My Mind", continue strong with "Tell Me What You Want", the rare song where relatively unmelodic verses strengthen the powerful, propulsive chorus, add the Pearlfishers-like "The Swallows of London Town", the mellow and inviting "Step Easy" and the perfect chamber pop of "Every Day", which favorably recalls their all-time best track "Bluebirds Fall" (from a split EP with Hem). For 11 songs, John Stirratt & Pat Sansone finally live up to their potential. 76. The Great Affairs-Ricky Took the Wheels. 75. The Young Veins-Take a Vacation! 51. The Passports-Is it True? Eric Crugnale-Carol Was Here. 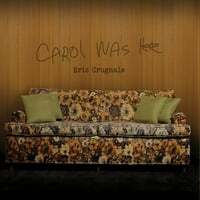 Getting in under the wire for my 2010 year-end list (which is coming next week) is Long Island's Eric Crugnale and his excellent debut Carol Was Here. This is fully-realized mature pop in the vein of David Mead and Seth Swirsky, and the lovely, Bacharachian title track draws you in right from the start. "Can't Take My Eyes Off You" is smart guitar pop, and "I'm So Glad" has a soulful feel to it that recalls Scot Sax & Wanderlust. There's no doubt that the whole album sounds like something unearthed from the 1970s, and the production from Kevin Bents (whose The Means was a favorite of ours a couple of years back) is top-notch. Other highlights include the bouncy, catchy "Unreliable Friend", the McCartneyesque 1:39-in-length "Never Thought", and the gentle, inspiring "Leave Your Worries Behind", which sounds like an oft-covered standard but isn't. A mightily impressive debut that sounds more like the work of a 20-year pro. Baby Scream-Baby Scream. Baby Scream is Argentina's Juan Pablo Mozzolla, and he's become a regular around these parts with a full-length, and EP and now another full-length in space of about 2 years. If you like the first two releases, you'll love this one, and if you missed them this is a good a place to start as any. The Teenage Fanclub-ish "Powerpop Crush" announces Mozzolla's intent, and the moody "Exile" is a treat. Additionally, the martial, staccato "Getting Better"-like beat of "Mental Case" is irresistible and the social conscience of "Watching the End of the World (on TV)" is backed up by its intelligent melody and structure. Mozzolla has been known to channel John Lennon in his vocal style, and "What About You" finds him channeling the snarling Lennon of "How Do You Sleep" to good effect. Another high-quality outing that wears its influences well. With Not Lame sadly out of the picture, Kool Kat continues to take the power pop ball and run with it and they've leveraged their impressive stable of artists to come up with what not is only the best power pop Christmas album you've heard, but perhaps one of the best albums of the year. Each artist contributed an original tune, and they all play to their strengths. Maple Mars' "Christmas Time in the City" celebrates Christmas in LA, the lyrical opposite of "White Christmas"; The Smith Brothers give us their signature breezy pop with "Every Day is Like Christmas", and Mike Giblin and Parallax Project's "All I Want for Christmas is a Chance" might be one of their best tracks ever. Meanwhile, Keith LuBrant's "The Christmas Spirit" is an energetic highlight, The Strands' "The Christmas Gifts" is a Ramones-like ode to finding where your parents hid the gifts, and Frank Royster serves up his usual fine retro-pop with "Christmas is Fun". The real standouts, though, are a couple of somewhat tongue-in-cheek tracks. The Britannicas go for some old-school country rock with "Chris Hillman Christmas", in which they'd "rather listen to Jesus than to Wilco" and they'd "rather go back to jail than to see the Eagles reform again". And closing out the disc is The Goldbergs' "Channukah Guy", in which Andy Goldberg professes his love for all the trappings of Christmas, and is catchy as anything he's done (which is saying something). 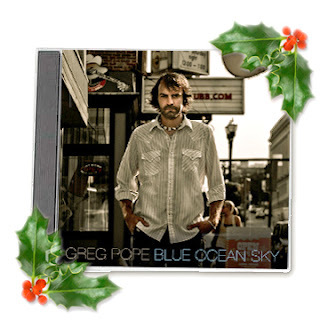 Between the quality power pop and the great cause, this is the one power pop disc to buy this holiday season above all others. 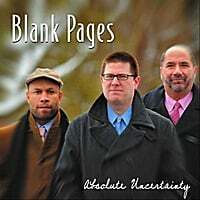 Blank Pages-Absolute Uncertainty. These Jersey power poppers graced the pages of the site almost three years ago with On My Street, and now they've jumped from one Jersey power pop label (FDR) to another with their latest. There's nothing flashy about these guys (check out the album cover) - instead, this is the kind of straight-ahead, no-frills power pop we all know and love. "Let it All Out" might just be the best unintentional ode to power pop as frontman Greg Potter sings of "A stolen verse, a clever line/a borrowed story, a silly rhyme". "Help Me" is another fun rocker, the midtempo "This Way" knows its way around a hook, and "I've Said All I Can Say" says it all. If you pick this up from Kool Kat, they'll throw in a bonus disc titled "The Early Years" that features unreleased Blank Pages tracks from the 90s. The Sterling Loons-March to the Tune. Some of you may be familiar with this Seattle band from their groovy 2004 debut What to Do In Trouble, and six years later they're back with the followup. This is classic 60s Nuggets-styled pop (surprised that Rainbow Quartz didn't nab them) that mixes psychedelia, power pop and garage. Opener "Old Nick" is a good dose of Freakbeat fun, while "Morning Sunshine" channels the sound of what could be a slightly off-kilter Kinks. Elsewhere, the Loons show their variety with the somewhat C&W-sounding "Simple Life", the mod sounds of "Beauty's Eyeing the Beholder" and the Merseyside pop of "All Aboard". A 60s-inspired tour-de-force, this is one tune you'll want to march to. And yes, Kool Kat has a bonus disc for this one too with seven unreleased tracks.